it's not about the summit. With fresh snow and lingering storms barricading the bigger peaks a few weeks ago, I planned to link the two Salt Lake City ridges that parallel city creek canyon in one giant loop. 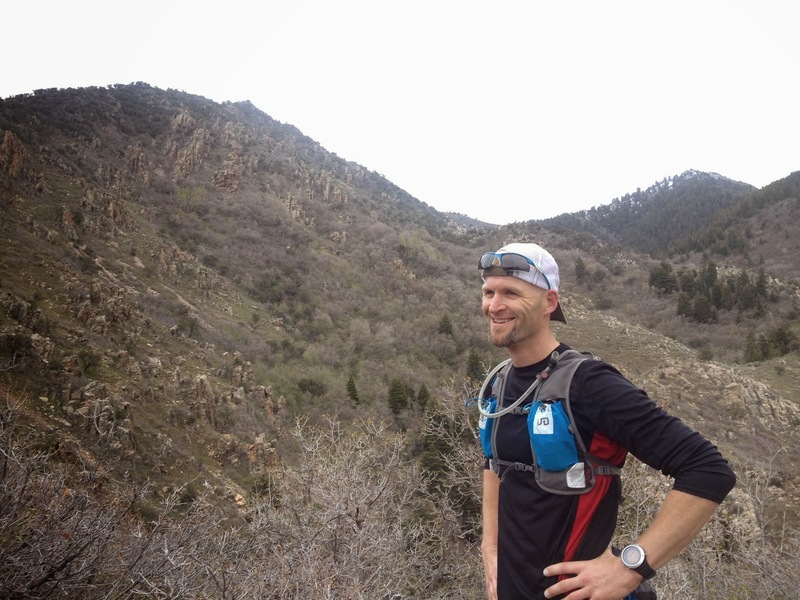 I estimated 5 hours to complete what I hoped would involve 20 miles, 7,000 feet of elevation gain, several summits, and minimal bush-whacking. At 5:05am Craig Lloyd and I started out towards the Twin Avenue "Peaks." It was dark, I had purposely left my headlamp, and I relished in watching the city lights reflect from the rocky trail to guide my footsteps. Craig and I settled into a pace of broken dialogue as the alpine glow emerged on the distant Wasatch peaks. Approaching Little Black Mountain the wind picked up, the temperature dropped, and my mood shifted with the weather. Sometimes the things you learn about yourself in the mountains aren’t good things. I scowled up the steep slopes of Little Black, remembering why I was grouchy the night before, bitter at the biting wind, bothered by social drama. I let frustration build like the storm clouds. 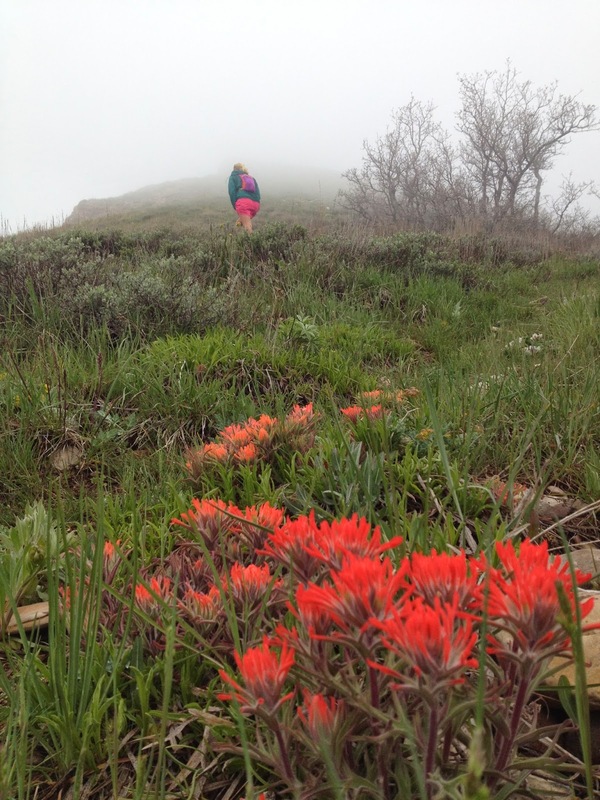 As I picked my way across the ridge, I paused at the bright specks of wildflowers. I tried to release my grouchiness, let it blow away into the wind. Glimpses of sunrays stole through the dark clouds. It would be a beautiful morning. Coming across the ridge and down Smuggler’s Gap Craig and I relished in our mutual skill strengths: technical trails and downhill. Playful laughter interrupted tall tales of downhill PR’s. Sometimes, we rediscover strengths in the mountains, too. Route-finding through brush brings joy to my adventurous side. Not that scrub-oak scratching bare legs is pleasant, or that reading a line amongst over-grown grass is a dream, but it feels wild. I too am wild, rough, and unpleasant around the edges. Sometimes we have to work through the unpleasantness. We power-hiked up the steep intermittent trail with sporadic chitchat about regrets. The ways we learn what is good, and who we are, and how our lives influence each other is ever present in the mountains. I am the product of some complex social web of concepts and feelings and interactions; and yet on a daily basis I have the power to change that perception and influence for the better. "Somewhere between the bottom of the climb and the summit is the answer to the mystery why we climb." — Greg Child. I passed a new view of rock outcroppings, the shapes and textures allowing me to imagine I was in the Dolomites, exploring international territory. I wasn’t a couple miles from a paved city road. I was in the wild; I was free. 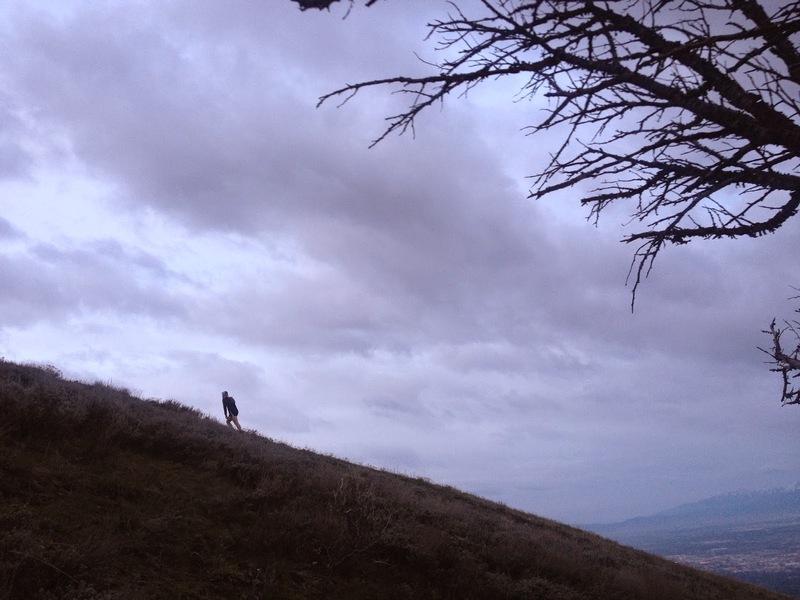 The steep climb continued and strange, heavy clouds blew in as we crested Rudy’s flat. From here we would follow a ridge passing Dude Peak (amongst others) down to Ensign Peak where we would skirt onto the Bonneville Shoreline Trail and loop back to where we started. This ridge should be straightforward and easy, the rolling hills and summits were all staged in a line. I contemplated how the dense, rolling fog was the shape-shifter of mountains. I could no longer see a view, the next summit, or any of the ridge. I couldn’t even see Craig, though I knew he wasn’t far ahead of me. The fog had muted both my views and my dizzying thoughts. Standing atop Dude Peak there was no view, no summit glory, nothing worth even a cell phone photo. Just white noise. After a silent glance around the summit we continued on, slowly picking a line down a ridge we couldn’t see on a trail that didn’t exist. It is nice when conversation is not necessary. When moods and feelings change and pass; when being lost in thoughts and lost without thoughts shift into the clouds. The rain muted any chance of conversation. 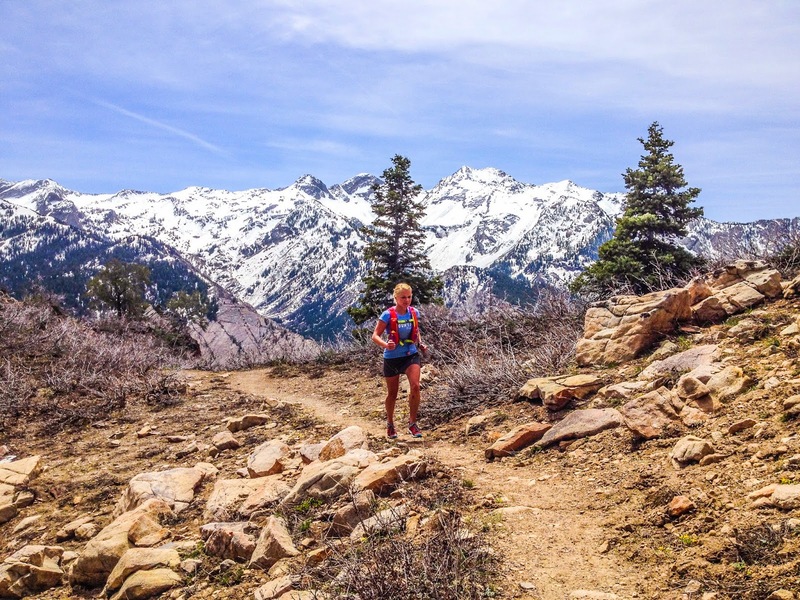 Time was becoming an issue, and we opened stride coming down the switchbacks into city creek canyon. The clouds parted, and for the first time that day direct sunlight brushed my skin. Rain was still falling, and I was encompassed in fields of yellow wildflowers. My arms instinctively opened and my fingers brushed the tops of the flowers, my senses overwhelmed. I found more joy than I could handle! For the next couple of miles I got to experience a powerful sense of living—a moment of flow, peace, tranquility, and indescribable happiness. Every sense was on overdrive. The scent of rain and new flowers; the sounds of splashing mud; the views of tangled tunnels of trees with wildflowers underfoot; the simultaneous touch of sunshine and rain. This is why I run mountains. The summits that day lacked depth, the stormy clouds made them one-dimensional. They were nothing more than bare stumps, recognizable as a summit only from memory. 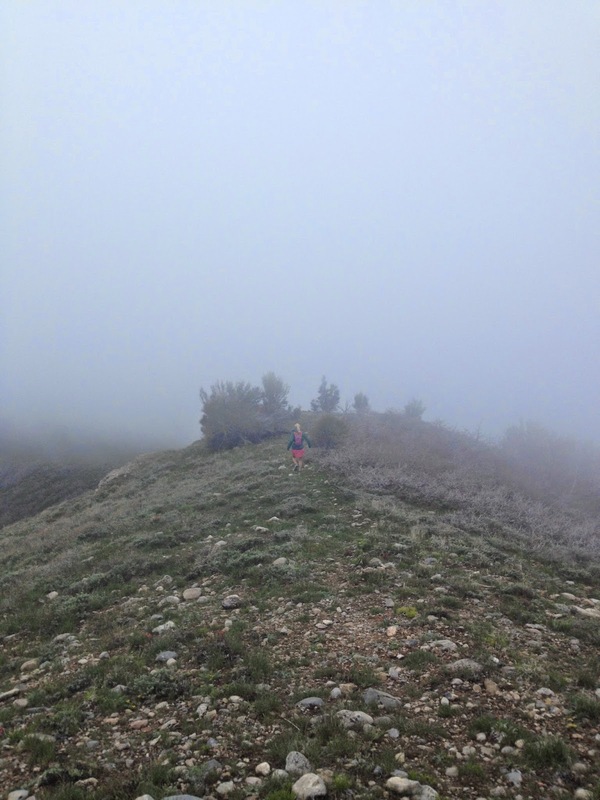 Those strange, un-seeable knolls weren’t the reason I ran that gloomy Saturday. 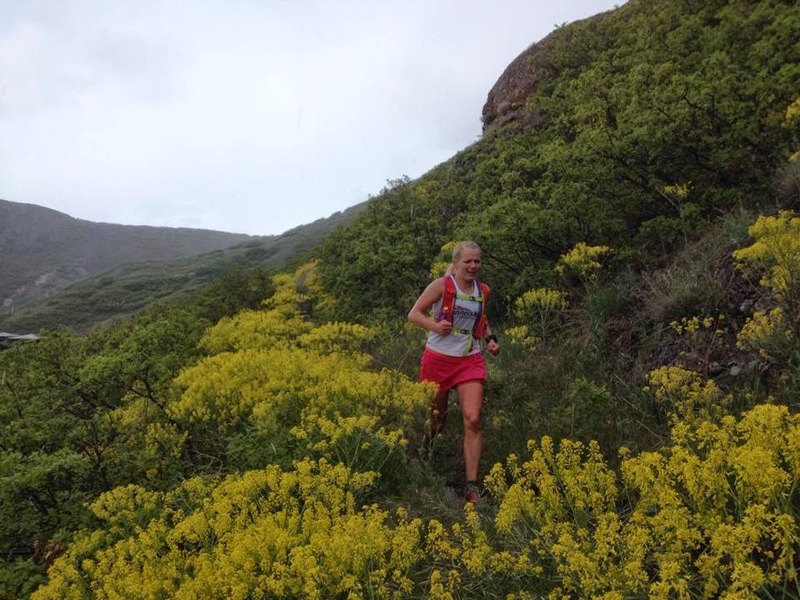 I ran for the moments of gleeful laughter through fields of wildflowers coming down from the final summit. Would those moments in the rain be less transcendental without the 4 ½ hours of hard running before them? Were those moments accomplishment based, and would they be less thrilling without a handful of summits? Does the joy of living within a moment come from the mountain or is it the reason we come to the mountain? And why are those things different? Today I ran a new summit, Millvue Peak, with an old friend. 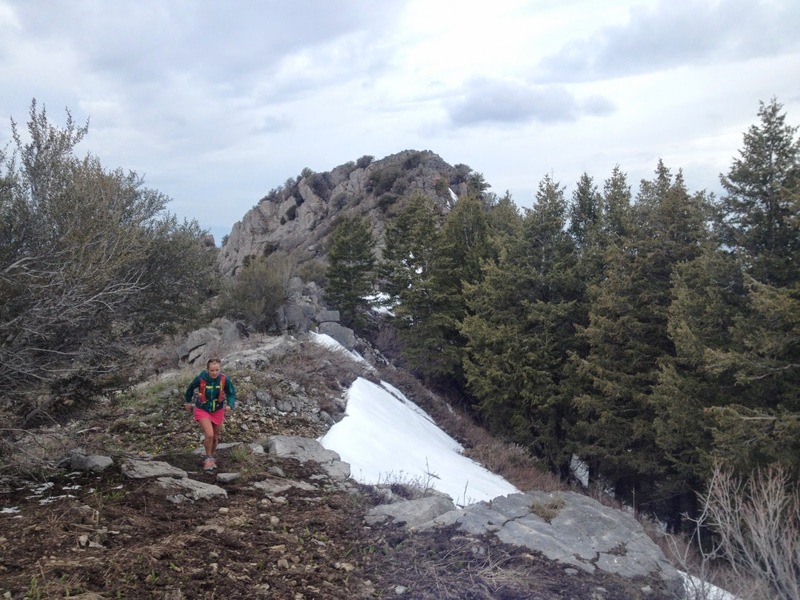 Cherri Marcinko and I frolicked down the ridge from Millvue on perfectly hard spring snow. The contagious laughter, leaping, and giddiness in motion made for one of the best summit trips of 2014. Was it the summit of Millvue that was so great? 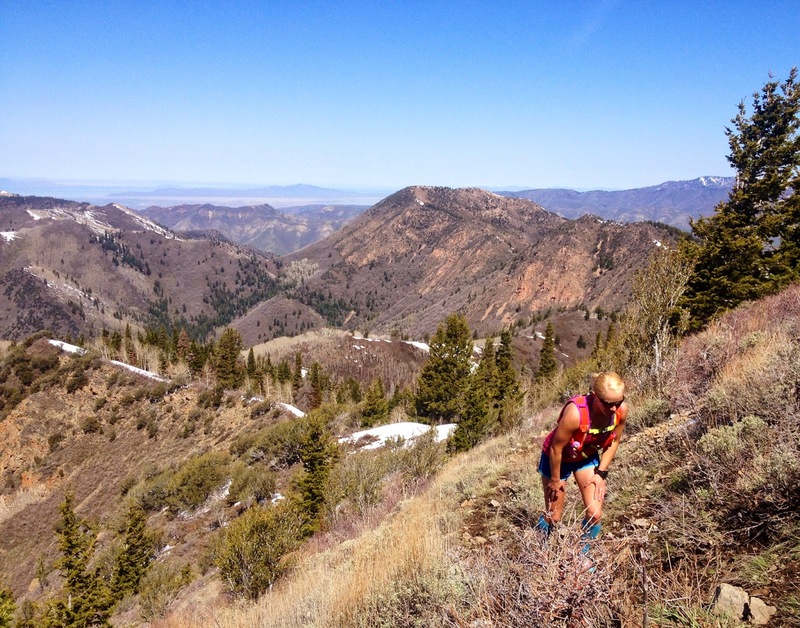 No, there are better views and on more runnable terrain. The challenge? No, I prefer some of our steeper peaks. 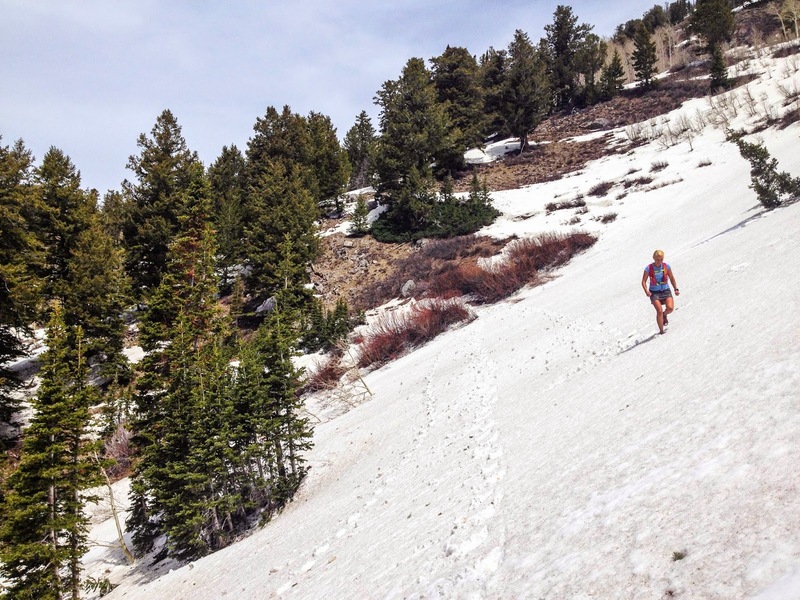 If not the summit, why this insistent goal of mountain running? Maybe it isn’t about the summit itself. One of the glorious things about running is that it can mean something different to me on different days. Sometimes it's healing or just makes me so grateful for all that God has made for us to enjoy. Other days I have a purpose in mind and much of that joy is forgotten in the task. Yours is a well-written and thought-provoking essay, Jennilyn. It makes me wonder if the joy is perhaps enhanced by the freedom of movement and a body in motion, wherever we may be.